One of the rumored Disney franchises set to be revived on Disney’s new streaming service, Disney+, is the Mighty Ducks. Last year, The Hollywood Reporter, the film’s original writer Steven Brill was working on a script alongside the producer of the trilogy, Jordan Kerner. 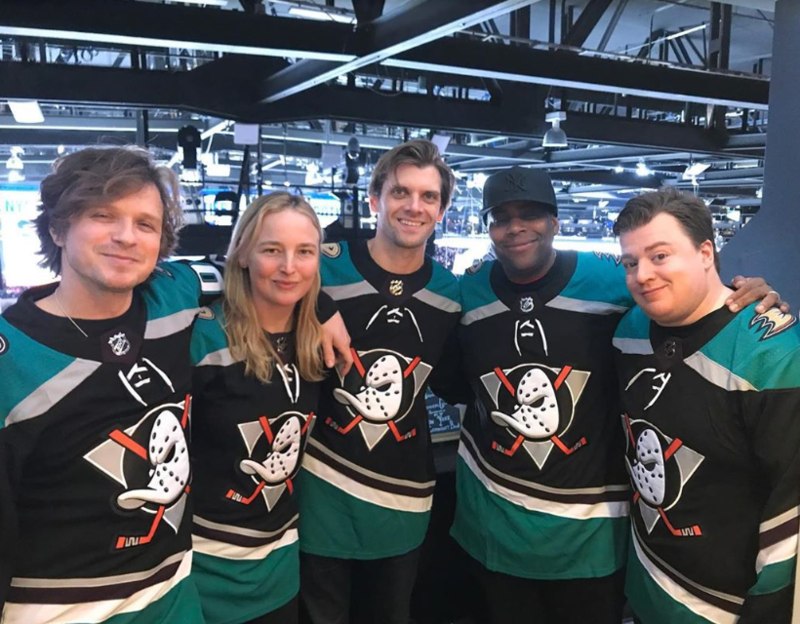 And this past week, some of the cast from the 90’s movie reunited at the Anaheim, with this photo being posted by the Anaheim Ducks team and feature cast members from the trilogy of classic kids films: Vincent LaRusso (Adam Banks), Kenan Thompson (Russ Tyler), Danny Tamberelli (Tommy Duncan), Garette Ratliff Henson (Guy Germaine), and Colombe Jacobsen-Derstine (Julie Gaffney). The comment about doing “Other Fun Projects”, is interesting and with talk of the Mighty Ducks returning to Disney+, this is certainly making it feel much more of a reality. Especially as some images and videos from Instagram show them filming on the ice. So will the Mighty Ducks be returning to our screens on Disney+ as a new movie or series? « Should The Punisher Come To Disney+ ? Is Wizards Of Waverly Place Returning To Disney+ ?